You can become more knowledgeable as a REALTOR® by tapping into the City of San Jose’s web site. The site provides a lot of great information about the housing market, development projects and even permit projects. When you are aware of the city’s future development plans, you become more of an area expert.You can better help your clients with their buying, selling and investment decisions. Every city planning department has a “General Plan” that outlines the future of the city. San Jose’s General Plan Envision San Jose 2040 outlines all the major community strategies, growth areas and land use policies for the entire city for the next 24 years. The city’s web site also provides land zoning information as well as building permit information. You can simply enter a property address and find out what zone it is in and potentially how the neighboring zoning may affect your client’s decision. San Jose has seen major development growth since the stock market crash of 2010. There are many projects, both residential and commercial, sprouting in every neighborhood. I have learned that by being a resource of information, my clients often reach out to me about their real estate and non-real estate-related questions. This continues to put me in front of them. In order to effectively market your business, you need to incorporate video. Consumers are looking to get the information they need quickly and video allows them to do that. They would much rather watch a one-minute video than read, because it saves them time. Video also is more entertaining than reading. Another benefit of using video in your marketing is that you can post it on a variety of outlets, including your web site, Facebook and YouTube. “One piece of content can be used over a broad range of channels,” said Thomas Arballo, SCCAOR’s new videographer. As a SCCAOR member, you are entitled to a FREE 60-second professional video (a $300 value) shot in our in-house studio. Why not come in and take advantage of this great member benefit and use the video in your marketing efforts? Click here to schedule an appointment. It’s important to work with a professional to make your videos, Arballo emphasized. “It takes all the guesswork out of it,” he said. Hiring a professional can cost $1,000 or more per video, but it’s worth the investment, Arballo pointed out. A professional already has the video equipment, so you don’t have to go out and buy anything. Additionally, a professional has more video experience. He or she will know from which angles to get the best shots and will be able to determine the best time of day to shoot the house. A professional also will be able to do a better job editing the final product. When you work with a professional, you have someone to bounce your ideas off of. A professional also will be able to come up with ideas you might not have ever thought of, Arballo noted. If you’re looking for a professional, start by asking your family, friends or colleagues for referrals. Should they not know of anyone, go to local businesses and ask them who they use for marketing. Find out who their web designer is and then ask the web designer if they know of a video person, Arballo said. Arballo noted that it’s important to trust the professional you work with. “The best relationship I have with clients is when they fully trust me,” he said. If you’re going to try shoot videos yourself, you need to buy your own equipment, including the camera, microphone that can mount on the camera and lights. It’s also important to figure out who your audience is and do some research, Arballo said. Mike Bui of Equity One Real Estate has incorporated video into his marketing efforts for the past six years. Bui noted that video has made an impact on his business particularly in the last three years. Currently, about 70 percent of Equity One’s marketing budget goes toward video while the remaining 30 percent goes toward print advertising, according to Bui. It’s important to make sure your videos are short and sweet, straight and to the point, Bui emphasized. A video should be one minute to two-and-a half minutes long. The first 10 seconds have to be an eye-catcher. Often if a video lasts longer than a minute and a half, people will skip over it and go to another one. Millennials like to watch videos, so using this medium is a good way to reach out to this large and growing generation, said Bui, who is a Millennial himself. Don Jessup of Silicon Valley Associates began using video three years ago. Jessup incorporates video in his biweekly show, which provides company and industry news. He also does video tours of homes and uses video in emails, for example when he emails people to thank them. Additionally, he uses video to promote events in which Silicon Valley Associates participates. In order to be competitive, you need to use video, Jessup emphasized. “If you are competing with the big boys, so to speak, you need to be doing it,” he said. “It makes every deal easier to close. If you’re going to be in the Top 10 percent, it’s one of the things people do.” Video provides a third-party valuation when people look for you on the web, Jessup noted. “Video is another thing when they search Don Jessup,” he said. If you aren’t already using video to market your business, now is the time to start. Businesses are increasingly turning to video for their marketing needs and this will only continue to become more popular in the years to come. Video isn’t a trend that’s going away, it’s here to stay. Local REALTOR® Dave Walsh has announced his candidacy to join the California Association of REALTORS®’ (C.A.R.) leadership team as 2018 Treasurer. As one of the most influential trade organizations in the state of California, C.A.R. promotes professionalism in real estate and advocates for its members’ ability to conduct business as well as real property ownership and the preservation of real property rights. Walsh brings more than 36 years of real estate experience to his candidacy. Having served as President of the Santa Clara County Association of REALTORS® in 2008, during the last economic downturn, he has experienced leading through difficult times. 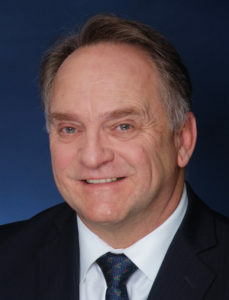 Walsh serves as broker of an Alain Pinel Real Estate office and founder of the largest Open Tour and Marketing Meeting in the Santa Clara Valley. His real passion comes out though in community service and advocacy. 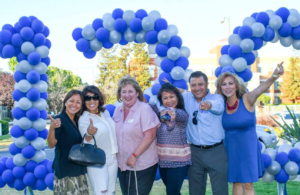 Walsh has raised tens of thousands of dollars annually for local schools and the Santa Clara County REALTORS® Foundation. He is also a C.A.R. and National Association of REALTORS® Director, weighing in on policy that impacts real estate at the state and national level. The California Association of REALTORS® includes more than 100 local member Associations and more than 170,000 REALTORS®, REALTOR® Associates and affiliate members who abide by a rigid code of professional ethics. More information about Dave Walsh can be found at http://www.davewalsh418.com/. About 7.2 million people lost their homes due to a foreclosure or a short sale in the last recession, according to Irvine-based RealtyTrac. The good news is that this year and in the years to come, many of these people are getting back into the housing market again. 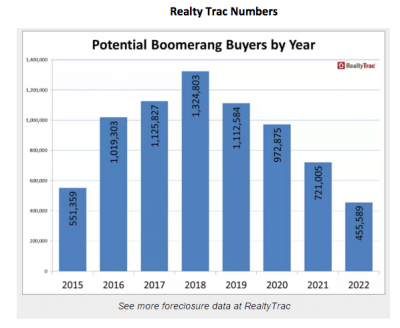 More than half a million “boomerang buyers” re-entered the housing market last year and this year that number is expected to jump to a little more than 1 million, RealtyTrac predicts. “This is kind of a year where they really start coming out of the woodwork,” said RealtyTrac Vice President Daren Blomquist. In the next couple of years, by 2018, the number of boomerang buyers getting back into the housing market is expected to go up to more than 1.3 million. Using foreclosure, affordability, and demographic data, RealtyTrac predicts nearly 3.5 million Americans will become eligible to buy a home over the next three years. 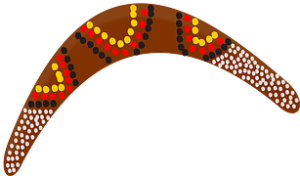 The term boomerang buyers is a good name for them because they’re rebounding and coming back, just like a boomerang does when you throw it. In some ways, boomerang buyers are similar to first-time buyers in that they don’t have a lot of money for down payment. But they also are different from first-time buyers in that they have been home owners before, Blomquist pointed out. Homeowners who h ave gone through a foreclosure have to wait seven years to get it off their credit history and it typically takes three years (sometimes more, sometimes less) before they can get an FHA loan. Now that it’s been nine years since the recession started, many homeowners who experienced a foreclosure when it first began have passed the mandatory waiting periods. They have used the time to repair their credit and are now in a position to be able to buy again. Don Jessup of Silicon Valley Associates worked with several boomerang buyers last year. While Jessup isn’t currently working with any boomerang buyers, he said he would be happy to start working with them again. The challenge of working with boomerang buyers is that you have to be more aware of credit issues and pair them with a good lender who understands boomerang buyers and get them through the pre-approval process, Jessup explained. Younger Baby Boomers and older Millennials are more interested in re-entering the market than older Boomers because they have more time to pay off a new home, he pointed out. The same holds true for Managing Brokers. The agents in their office say a lot about the values and success of their business. 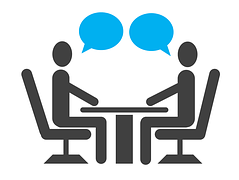 Are you being deliberate about who you are trying to recruit and retain? When it comes to agents, talent attracts talent and non-talent does the same. What also holds true is that non-talent repels talent. Is your brokerage business set up to attract the best in the business or are you creating a group for the Island of Misfit Toys? I think one of the big mistakes that Managing Brokers make is the same thing that many agents make. They try to be all things to all people. What are the values and business model of your brokerage? Don’t be afraid to put it out there and tell your story. It will attract some and repel others and that is okay. Who you will not hire also says a lot about your business. Our business is becoming more and more transparent. With the help of systems like Homesnap, everyone can see the production and type of business that your office and agents do. After leaving management and becoming a partner in a larger office, I would get comments from associates saying, “Did you get tired of babysitting?” I found it interesting how agents viewed their associates and themselves. Agents seeing their brokers tolerate and even cater to unprofessional and disrespectful behavior is extremely damaging. Setting the bar and being uncompromising on it will reflect your character. Terminating someone who violates your company values can actually be a good thing if done with class. It shows that you have the courage to adhere to a set of principals and draws a line in the sand for you current associates. When you put together a group of independent contractors, you can’t manage activities but you can have a common list of guiding principles. Great sources for this are not only your competition but other successful businesses outside the real estate Industry. I call it being a “Business Scientist”. Do the research to see what works and then implement it in your own business. What would summer be without an outdoor BBQ? The two seem to go hand-in-hand. It’s certainly a tradition here at SCCAOR, where every year we show how much we appreciate you, our valued members, by providing a BBQ in our beautiful courtyard free of charge. This year’s sold-out event, held last week, drew more than 400 people who were treated to great food and drinks and got to do some networking as well. Everyone got to enjoy their drinks with the commemorative glasses we gave away in honor of SCCAOR’s 120th anniversary. To kick off the event in style, we held a reception inside our newly remodeled office with President Trisha Motter, where people could enjoy some appetizers and see the many exciting changes that we’ve made, especially to our membership department. Don Jessup of Silicon Valley Associates, who attended the BBQ with his wife, Jennifer Chaing and their 5-year-old son, said he enjoyed the reception and the event overall. We recognized several of our many outstanding members. Larry Fargher, CEO of Realcom Associates, received the Distinguished Member of the Year Award for his commitment and service to the real estate industry. Joe Garcia of Camino Real Realty and Richard Matusich of Richard Matsuich & Associates were recognized for their 47 years of service. It was a great event and we look forward to seeing you at next year’s BBQ! Members of the Santa Clara County Association of REALTORS® had the opportunity to learn first-hand about differences that exist in real estate between the U.S. and China and how to effectively work with Chinese buyers while on an excursion to China at the end of October that included a professional conference with Beijing agents. More than 150 top-producing agents attended a one-day conference at Beijing Homelink, the country’s largest real estate agency. Some of the many topics discussed included buyer and seller representation, fiduciary duty, ethics, portals and web sites, and the tremendous influence that Asian culture has had on real estate in the U.S., for example with Feng Shui. Suzana Kubota of Coldwell Banker Previews International said she came back with a better understanding of why schools and education play such an important role in the home buying process for Chinese people and the high standards and expectations the Chinese set. The Santa Clara County Association of REALTORS® will lead a delegation of its members to China today through Oct. 28th on a trip that will include a presentation at the Beijing Homelink Real Estate Agency, the country’s largest real estate company. 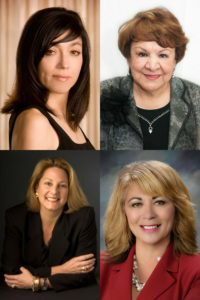 Sixteen people are traveling to China, including Hilda Ramirez, director of Public Relations, Communication and Education for SCCAOR, Anne Hansen, a REALTOR® with Realty ONE Group who serves on SCCAOR’s Board of Directors; Pauline Martinez, a broker at AALIS Platinum Properties; and Suzana Kubota of Coldwell Banker, who will all be speaking at Beijing Homelink. 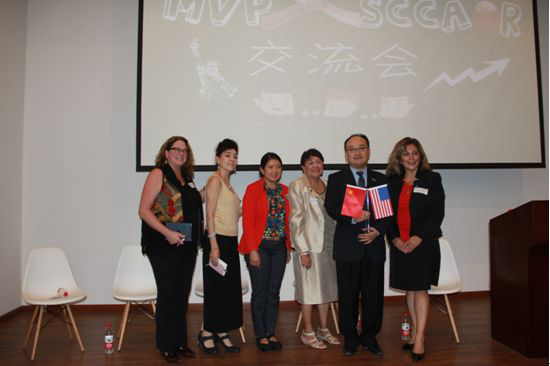 “It is an honor to speak at Beijing Homelink and to lead a group of SCCAOR members to China, where they can learn more about the people, history and culture of this rapidly changing country,” Ramirez said. “We are delighted that SCCAOR will be coming to Beijing Homelink to lead a discussion about nuances that exist between the United States and China when it comes to the real estate industry,” said Gene Shi, President of Beijing Homelink International Operations. The Chinese are the biggest group of foreign home buyers in the U.S. and account for 16 percent of foreign buyer activity, according to the National Association of REALTORS®. Sales from Chinese home buyers reached a record $28.6 billion between April 2014 and March 2015. The trip to China was made available to all SCCAOR members. Participants will visit Beijing, Shanghai, Suzhou and Hangzhou.